Pune Film and Television Institute of India or FTII is located in Pune. 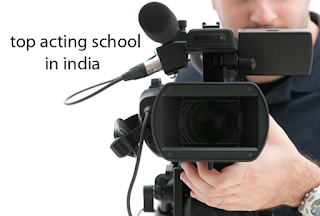 The Institute offers 2 year PG Diploma in Acting. Subhash Ghai is the chairman of Whistling Woods International, Mumbai. The courses include a 2 year course in acting. The Delhi Film Institute is located in South Extension, Delhi. The institute offers 2 months acting course in acting. 301, 3rd Flr, Trans Avenue, before Ganesh Acharya Hall.